A stylish Sailor Hat for formal or dress presentation. Authentic Chinese hànzì spells out the original ship it was destined for. 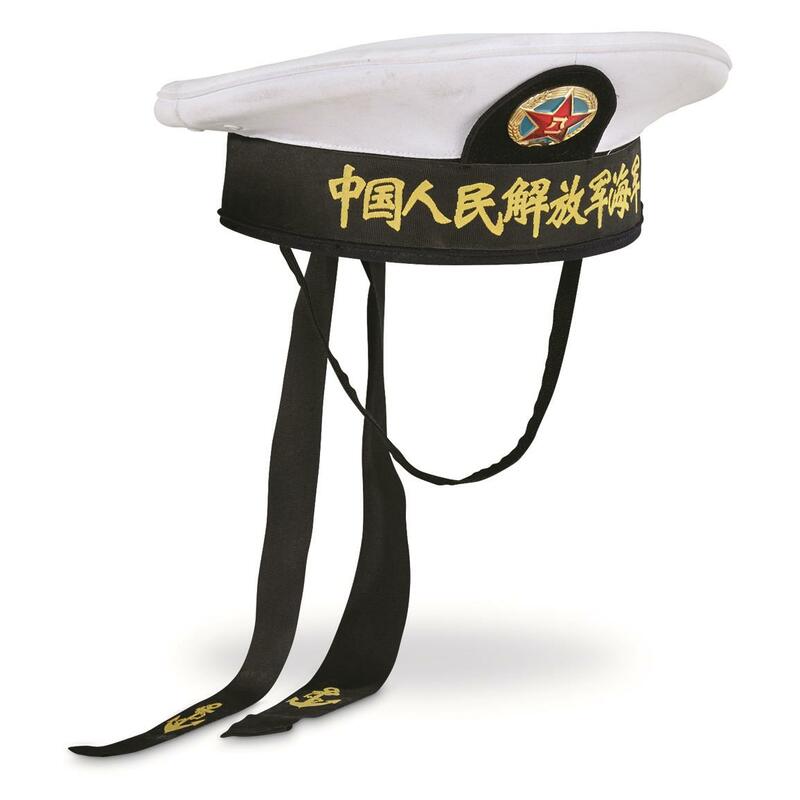 Manufactured for the modern Chinese naval branch of the PLA (People's Liberation Army) and embroidered with its insignia. Few of these Hats make it over the Pacific, but we found a small supply. A terrific find for your military collection!